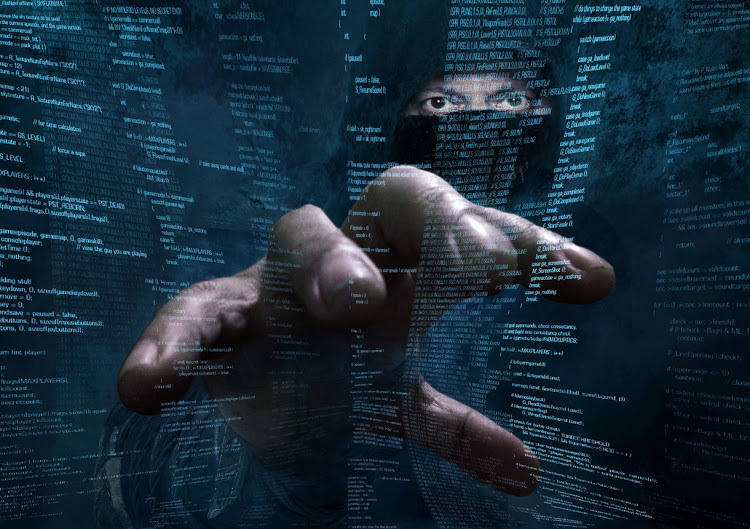 The country’s technology capital saw a whopping 5,035 FIRs registered at the lone cybercrime police station in the city. As per a written reply in the Maharashtra Assembly by chief minister Devendra Fadnavis, 2,945 cases were registered in the state till September 2018 and most of them were in Mumbai. 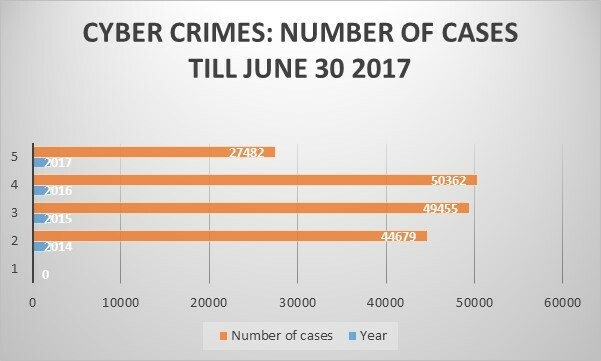 In Delhi, in 2017, as per the Delhi police, only 84 FIRs were registered at the cybercrime cell. Until April 2016, 110 complaints were lodged, but only 26 FIRs were registered. 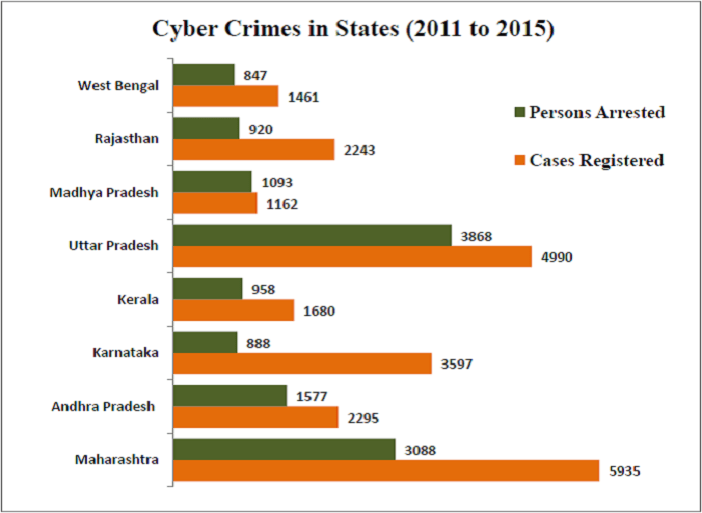 In Chennai, as per reports, 5,703 complaints have been received by the cybercrime cell in the past five years. 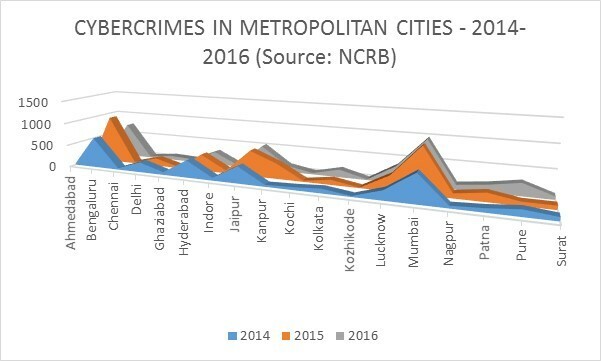 According to the annual report released by the National Crime Records Bureau (NCRB) in 2016, with 762 cases, Bengaluru had the second-highest number of cybercrime cases among the metros, behind Mumbai with 980 cases. 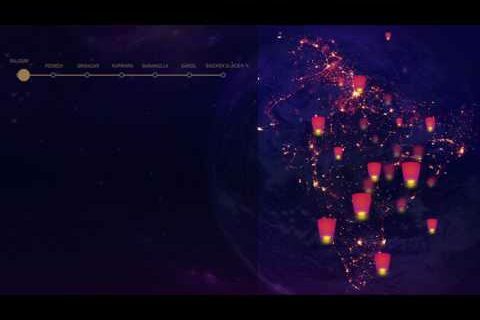 Other metros in the list were far behind, with Hyderabad recording 291 cases, Kolkata 168, Delhi 90 and Chennai 36. From 762 to 5035, the number of cases have seen a sharp increase in Bengaluru. 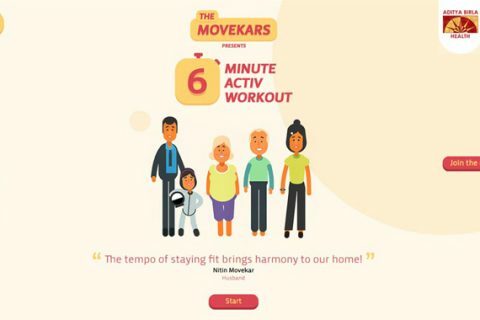 The increase in Mumbai is not so pronounced. Experts and officials have attributed the high reporting of cybercrimes in Bengaluru to higher incidences and greater awareness among residents, among other factors. Former DG and IGP of Karnataka ST Ramesh said Bengaluru was the first Indian city to get an exclusive cybercrime police station way back in 2001. “In the other metros, such a step was not even considered. The station also had all the powers of other stations and a wide jurisdiction. Secondly, Bengaluru is an IT hub and the number of IT companies here is very high, even by global standards. Therefore, people with awareness on filing complaints against cybercrimes are also high in number. 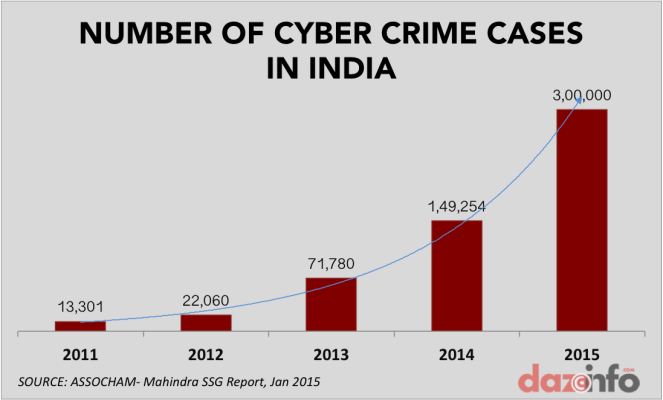 In short, there are a greater number of cyber literates in Bengaluru,” he said. A senior IPS officer who has worked in Bengaluru attributed it to the city being the country’s ‘silicon valley’. “However, the numbers are more to do with increased reporting of such cases,” he noted. Hyderabad-based data security researcher Srinivas Kodali said statistics also depend on how a city’s police are registering cases. “For example, some cases of sim cloning in Hyderabad were not registered as cybercrime cases. Some might even be wrongly charged with IT Acts, like how Section 66A of the IT Act was abused. The standarisation of FIRs itself is a complex exercise,” he pointed out. In Bengaluru, the high reportage of cases coupled with a lone and understaffed cybercrime police station has led to poor disposal rate of such cases. While the number of cases more than doubled from 2017 to 2018, the number of charge-sheets filed dropped marginally. A proposal to have eight more stations in the city, if approved, is expected to improve the disposal rate.